It was time to change out my quilt in the kitchen for spring. I pulled out this one I made a couple of years ago. It has such bright, cheerful colors. 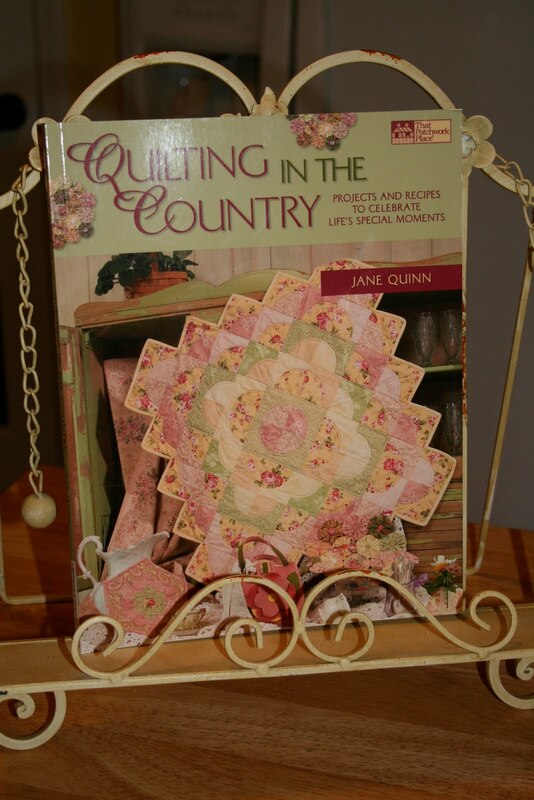 The pattern for this quilt came from the book, "Quilting in the Country" by Jane Quinn. I highly recommend this book. There are a lot of fun projects. I picked up this book yesterday. 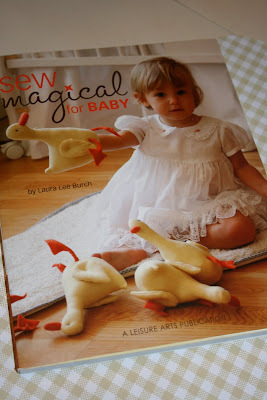 I cannot believe how many cute projects there are in this book. I love her use of color and the combination of fabrics. 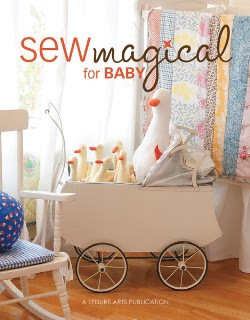 How fun is this vintage carriage with a parcel full of ducks. I can't decide what a want more, the ducks or the carriage! 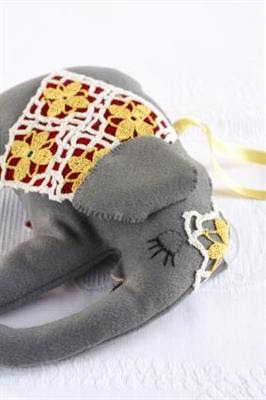 This darling elephant is one of many animals found inside. What a fun use of vintage crochet potholders and trims. The possibilities are endless. 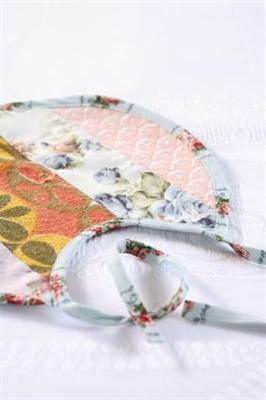 She offers many simple projects that can be made quickly for either a baby shower, or just for your own child when you can no longer get those pesky stains out of your current bibs. 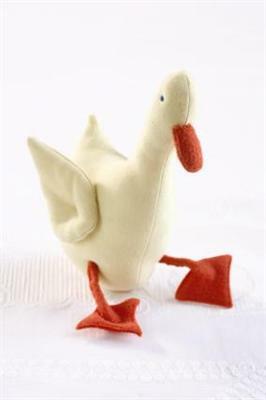 I think my favorite items are all the different animals, from ducks, to lambs to bunnies and more. 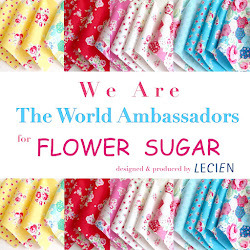 The pictures are dreamy and you'll want a hot cup of tea and a comfy chair to savor this book. i sent out your punch yesterday! be on the look out and please let me know when you get it! I'm in love with your quilt! It is spectacular! I love your Spring Quilt. I have very little wall space for quilts. I just have to throw them over furniture. Love that you have room to hang one in the Kitchen. Thanks for sharing. Love the carriage too. I love them all. 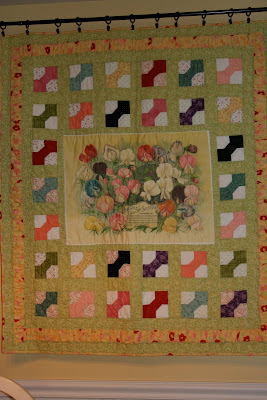 Your quilt is gorgeous and you did an awesome job! You have presented lots of good ideas! The ducks, the ducks! How lovely!